Originally from a little bit of everywhere, Chef Nick took on the big city of Chicago to pursue a career in the Culinary Arts. 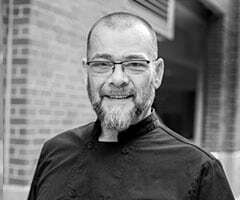 Attending Elgin College and Northern Illinois University, Chef Nick was not just a master of food wizardry, but was actually a walk-on Wrestler! Through his many talents, Chef Nick’s hard-working personality lead him to many opportunities that allowed him to show off his culinary talent. When Chef Nick isn’t busy creating his next masterpiece for his Quest Groups family, he spends his time serving his community, snowmobiling and planning his next big adventure with his fiance, Annie. Why do you love what you do at Quest Groups? The people, Who do you Know?! ?